to turn data you have into information you can use. Teachers know the routine: One app to track behavior and attendance. Another to plan lessons and manage student assignments. Students, parents, school administrators and educators are empowered with a complete picture of student progress at their fingertips in real time. State after state is adopting MiDataHub because it makes statewide reporting and data integration secure, simple, and affordable. MiDataHub allows the biggest ed-tech providers down to the most cutting-edge startups to have a scalable entry point into the market. 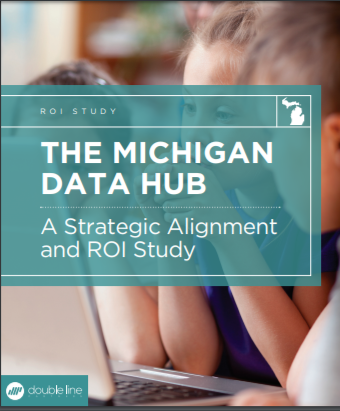 The Michigan Data Hub has completed a Return on Investment (ROI) and Potential Cost Savings Study. Our belief is that the data hubs, when fully implemented, will save districts a significant amount of time and money in managing data. The study estimates that MiDataHub can save districts up to $56 million per year by eliminating duplicate integrations, integrating systems that aren’t currently connected, and by streamlining and partially automating the state reporting process. This information serves as a goal for MiDataHub to attain and exceed. Schools will spend far less time and money establishing and maintaining their own data bridging services. What used to be many programming chores of many hours each will become an implementation task to connect local systems to programming written by others. Data quality can improve significantly. Every connector will include error checking with feedback to the data originator. Quality control measures can be focused on one source for each piece of data with the results of that propagated to other systems in a controlled, error-checked manner.